The Rehearsal Dinner, usually 20 – 40 people at most, that is focused on bridal and broom wedding party and their family of each side. 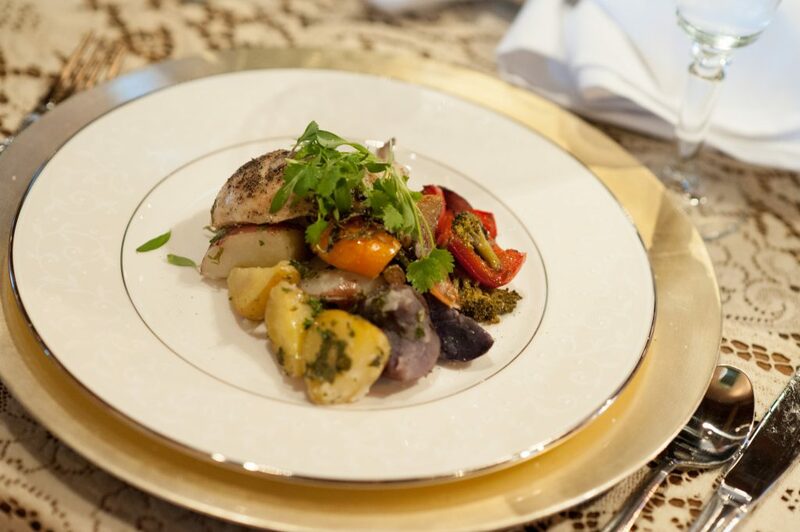 Usually a nice restaurant or at a private home location that is done very formal for everyone (Customer usually do the private dinner at a home or favorite restaurant) Prices Vary for private home rehearsal dinner. Light breakfast depending on time of wedding and designed for energy and lasting prior to wedding activities.. This can be done at a home or location of choosing to accommodate a select group or different groups and different locations to take care of guests… This sometimes is needed if staying in homes and people just need to get focused on getting ready, we would take on the responsibility of getting food ready for everyone. This is usually after dinner and throughout the cake cutting Ceremony and after people have been celebrating after a while. This will be light treats… usually like flatbreads, dips, veggie trays and meat trays with crackers, Macaroni Cheese, Bread Pizza etc. These are just to give back energy to the people and if kids are present they are to hold them over. This is usually a brunch for the wedding party and the families to come together as a family for the first time as a married couple. This sometimes is a shared cost between both heads of the family and sometimes involves the new married couple or sometimes not depending on the honeymoon plans. Click Below for a Free Consultation and Free Quote!